Tristania will return to singer Kjetil Nordhus’ home town Kristiansand in September to headline the Southern Discomfort Metal Festival together with Norwegian avant garde giants Arcturus. 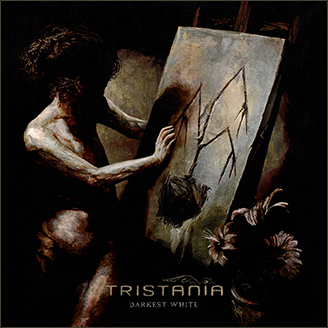 The gig marks the return of Tristania after a very successful show during the early stages of the Rubicon Tour last year. The festival has already confirmed lots of known faces for the Norwegian metal crowd. In addition to Tristania and Arcturus, former In The Woods frontman Jan Kenneth Transeth will join up with former Green Carnation members Stein Roger Sordal and Tommy Jackson in Soxpan, members from Carpathian Forest and Communic reunite with Opus Forgotten, black metallers Goatlord will also do their first show in a few years, while the brilliant prog metallers in Leoprous, also known as the backing musicians for black metal legend Ishahn will present their own critically acclaimed material. There is still a few bands to be confirmed. “Kristiansand was brilliant last time we played there, and we’re delighted to do be able to return this autumn. The line-up is very different from many other festivals, and marks the return of a whole lot of bands that haven’t played together for a while, and of course Arcturus is a scoop for the festival”, singer Kjetil Nordhus says. This entry was posted in News and tagged kristiansand, live, Southern Discomfort, tristania. Bookmark the permalink.